Have an “Incredible Summer” this summer at Walt Disney World Resort! attractions, entertainment, experiences and more. “Guardians of the Galaxy” will join an alien band to take you on a journey through the cosmos. join Donald Duck as he takes over Dinoland in a “dino-tastic” celebration. work together again, which is easier said than done. And finally, Toy Story Land opens at Disney’s Hollywood Studios. A major highlight of an “Incredible Summer” at Walt Disney World Resort is the opening of this new 11-acre land at Disney’s Hollywood Studios. You will “shrink” to the size of a toy and go exploring in Andy’s backyard. Two new attractions include the family friendly coaster Slinky Dog Dash and Alien Swirling Saucers. 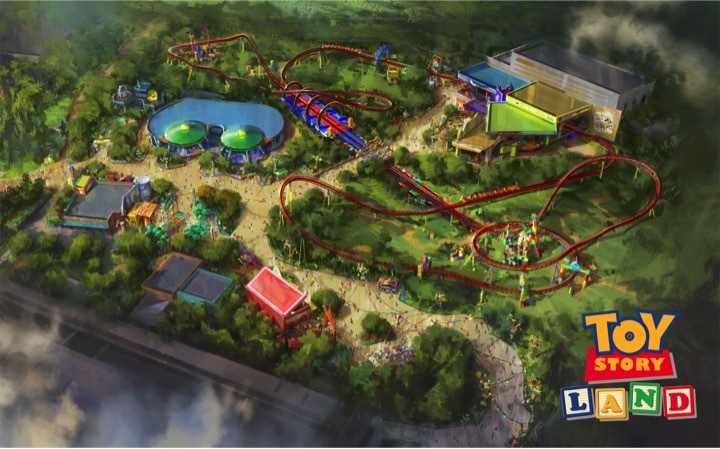 Toy Story Land will also feature everyone’s favorite attraction Toy Story Mania!, which will add a third track to its rotation. Woody’s Lunch Box will be a new quick service restaurant option that will serve tasty meals and old fashioned soda floats. Stay tuned for more information on Toy Story Land, including an opening date! summer and you won’t want to miss it. Contact your Upon A Star Agent today to find how to book your "Incredible Summer"!